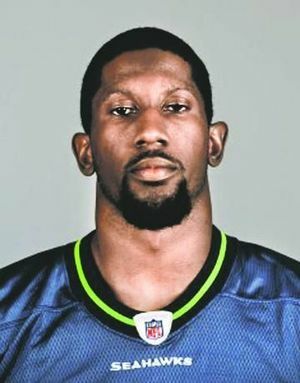 The Seattle Seahawks and Marcus Trufant have agreed to a one-year deal, bringing him back for the 2012 season. Trufant was cut earlier this offseason after struggling with injuries and on-field production the last three years. After learning of setbacks in Walter Thurmond’s recovery, it appears Trufant will be filling the need for an extra cornerback in passing defenses. Walter Thurmond is expected to begin the season on the PUP list, meaning he will miss at least the first six weeks of the regular season. On a personal note, I love this signing. All too often, good sports stories are ruined by the “business” of sports. Marcus Trufant has never played a single down of football with a team outside of Washington. Born and raised in Tacoma, Washington, he attended Wilson High School. I have memories of watching him play, then, scoring about seven touchdowns against Peninsula High School in one game. After his high school career Trufant moved on to Washington State University where he started as a freshman and eventually helped the Cougars reach the Rose Bowl. Trufant was then drafted by the Seahawks with the 11th overall pick in the 2003 NFL Draft. This will be his 10th straight year playing in front of the 12th Man.When asked today on Sports Radio KJR if he is planning to finish his career in Seattle, Trufant responded, “That’s the plan. That was always the plan.” I hope the Seahawks and Trufant can make this happen. Chris probobly doesnt like this either! I wrote the article. Of course I like it! I am really excited about Tru being back. We need a veteran in the secondary and who better than a guy who has spent his entire career here, and played at a high level going to pro bowls and the last player left from the super bowl team. Obviously I dont think he should be a starter, Sherman and Browner are beasts, but he would be a great asset as a nickle back, and thats what Ive heard they envision his role being, so thats good that he is on board with that role. I was listening to the radio this afternoon, and Tru becoming a member of the RIng of Honor came up. What do you guys think. I say absolutly! My heart says yes. Stats say no… I think having a good player and great person like Trufant play his entire football career locally is just unheard of these days. Just playing an entire professional career with one team is very rare. He’s a special guy. I say if he retires a Seahawk, he’s in. The ring of honor doesn’t have to be solely about stats. Guys, Remember, this free agency preiod got all whacked out when a top 10 receiver (Santonio Holmes) went for a fifth-rounder. That messed up the market pretty good. A 3rd rounder for a on-and-off starter who can make some plays but struggles in man coverage and is undersized, might have been a little much in this market. Not that I don’t think Wilson was worth that, but that’s unfortunately not what GM’s and player personnel people consider in these cases. They rate a player’s value in free agency, as compared to what other players have been traded/acquired for. It’s slotted. Much like the draft.